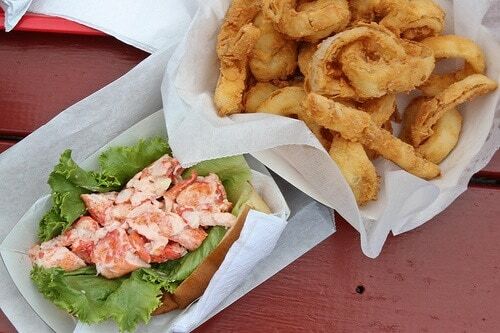 Anyone who’s ever taken, planned, or even mentioned a visit to midcoast Maine gets the recommendation thrown at them at least once: “You gotta go to Red’s Eats, they have the best lobster roll in the state!” The tiny walk-up shack in Wiscasset abutting the Route 1 bridge makes a good roll, it’s true—a healthy mound of lobster meat lightly tossed with drawn butter or mayo. But from Memorial Day through Labor Day, you’ll endure a sticky, overheated wait just to get your paws on one. 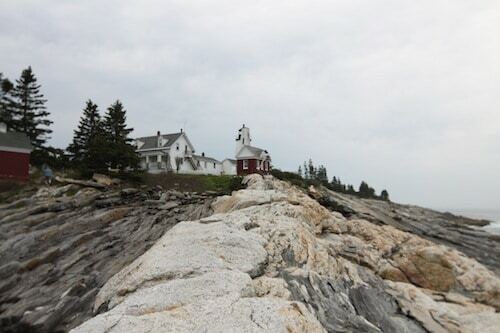 And I can think of many other things I’d rather be doing with my precious time in Maine, including basking on the rocks for an hour at Pemaquid Point Light like a seal, than inhaling gas fumes from the parade of cars crawling across the bridge and up Main Street. I admit that I’m an impatient person and in true Groucho Marx fashion, I intrinsically avoid the hyperbole and long lines that often come with critical acclaim, whether I like it or not (I’ll rant equally about the waits at Shake Shack, which I love, and Magnolia Bakery, which I don’t). 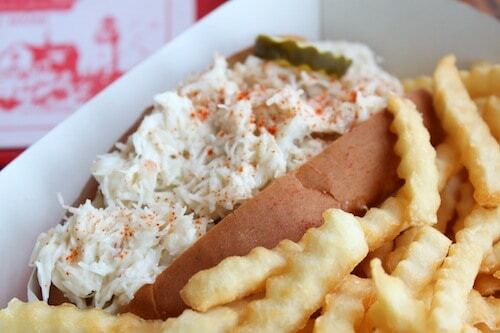 It’s become a pet project to seek out quality alternatives to Red’s on my annual trips to Maine, and the following are my favorite spots along the coast for both food and atmosphere. These aren’t citified Pearl Oyster Bar lobster rolls; fresh and unadorned, they let the lobster shine. Please check the linked websites or call for seasonal hours before stopping by, because many of these places close in the off-season, and a few are cash-only establishments. Just across the intersection from Red’s sits Sprague’s Lobster (22 Main Street, Wiscasset; 207-882-1236), in direct view of the line snaking onto the Route 1 bridge. Here’s the dirty secret: this is the lobster shack the locals prefer. My cousin, who lives 15 minutes up the road, goes for Sprague’s due to the higher percentage of claw meat in its rolls (we both agree that Red’s seems to stuff a lot of chewy tail meat into its bun, and we prefer the satiny texture of the claws). Plus, they’ve got an expansive deck with umbrella-shaded tables that come in handy during high season. 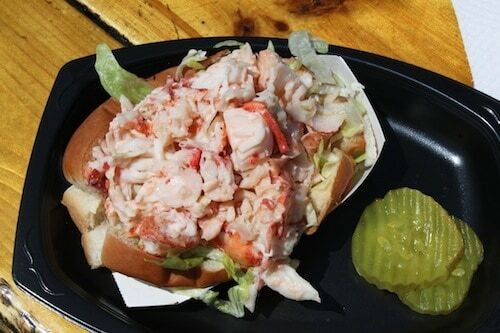 I mentioned Sprague’s first because of its physical proximity to Red’s, but if I were forced to choose only one location to get my crustacean cravings situated, Shaw’s (129 Route 32, New Harbor; 207-677-2200) is the one lobster roll I’d place above all others in the area. It’s a working wharf, so the lobsters are basically hoisted off the boats, out of the traps, into boiling water, and onto your plate. I’ve yet to find a juicier, fresher lobster roll in the region—well, except for those I could make from the lobsters we steam fresh in the family kitchen, but that’s cheating. Shaw’s lower-deck raw bar opens at 2:00 pm, so you can eat your roll, then head downstairs to catch a few innings of the Portland Sea Dogs on NESN while slurping down a half dozen Pemaquid oysters and Sheepscot Valley Pemaquid Ale on draft. Doesn’t that sound much better than sweating your rolls off in Wiscasset? Harraseeket Lunch & Lobster Co.
Moving down the coast to Freeport, Harraseeket Lunch & Lobster (36 Main Street, South Freeport; 207-865-4888) is a turn or two off the well-worn path of Bean Boots making their way to and from the L.L. Bean flagship store (and yes, some of those treads are mine, since I’m making a bad habit of collecting as many styles as there are Round Top ice cream flavors). Their lobster rolls aren’t as overstuffed as those at Shaw’s, but the meat is sweet and chunky, and a basket of onion middles—the thick inner rings of the onion, dipped in a crispy cornmeal batter—is an equally tender and sweet departure from the usual french fry accompaniment. 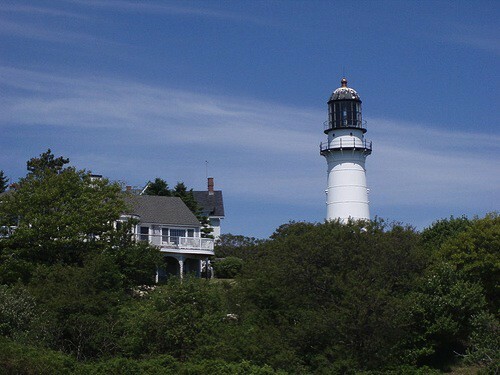 Technically, this one’s not in midcoast Maine—it’s south of Portland and just east of Scarborough. But the Lobster Shack at Two Lights (225 Two Lights Road, Cape Elizabeth; 207-799-1677) might be the most picturesque spot to eat a lobster roll in the entire Pine State, as it sits within coastal view of the lighthouse famously painted by Edward Hopper. For your first roll as you’re driving into Maine or your last roll before heading home, the view alone is worth the short detour from I-95. 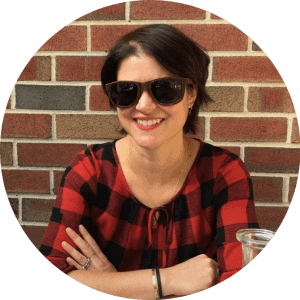 On our most recent visit, I chowed through a crab roll stuffed with delicate strands of sweet meat while I eavesdropped on the retired couple at the table behind us getting all worked up over the clam cakes. “How do they get them so crispy?” the husband wondered. “I had never eaten a clam cake my whole life, and when I tried one, I wondered why it had taken me so long!” the wife marveled. 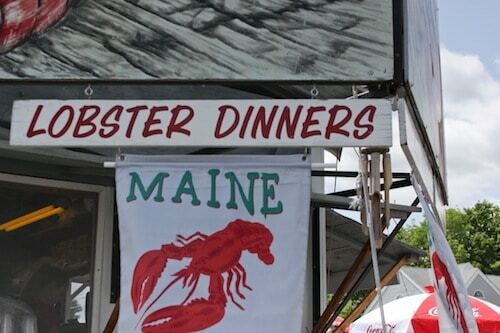 After hearing their rave reviews, a clam cake platter will most certainly be my next order at the Lobster Shack.